As technology ever improves, new tools and devices to improve our lives and keep us safe are constantly evolving. One of those devices are GFCI protection! Put simply, they are outlets and/or circuit breakers that hold specialized and micro-miniaturized electrical circuits that can catch the tell-tale signs of electrical current problems. Once the problem is detected, they automatically shut down the electricity, keeping your home and your family safe! The difference between GFCI protection and a regular circuit breaker is an important one; regular circuit breakers are designed to protect a building’s electrical system, not people. The amount of electricity required to kill a person is thousands of times less than the amount of electricity it takes to trip a regular circuit breaker, which is why GFCI protection is a crucial part of your home. Fuses and circuit breakers-also called over current devices-are used in your home’s electrical system to protect against too much electrical current running through the wiring. Some power is lost as the electrical current flows through the wires, because the wires contain some electrical resistance. This is perfectly fine, but if too much current flows through at once, the wire can get too hot and spark a fire. To prevent against this, fuses or circuit breakers can detect when too much electricity is flowing; a fuse will blow, and a circuit breaker will trip. When this does happen, it most often means that someone has attempted to plug too many devices into one circuit. However, as we talked about earlier, fuses and circuit breakers are not designed to protect people from electrocution; they are designed to protect the wiring from fire. This is why GFCI protection is important. A GFCI outlet, or Ground Fault Circuit Interrupter, is a special electrical outlet device that gives significantly greater protection from electrical shocks than standard electrical outlets. An easy way to think about it is as a small, extremely sensitive circuit breaker that is built directly into the outlet that guards against human electrocution rather than fire. It works like this: when the amount of electrical current coming out of the hot prong of the outlet is even just 5/1000 of an amp different than the amount of current coming back into the outlet via the neutral prong, the GFCI outlet will trip and shut down the outlet. Because in this situation, the GFCI had sensed that it had been putting out more electricity than it was getting back. In this scenario, the only place the missing electrical current could have been going to was another source of electrical ground, which is most likely a person! Even if the outlet is not grounded, a GFCI will still provide protection from this because all the outlet is “looking” out for is that the electricity going out is the same amount coming back in. GFCI outlets are now a requirement in any location in a home that is in close proximity to the grounding of a person. Examples of this would be every kitchen countertop/island, within 6’ of sinks and other sources of water, and all bathrooms, unfinished basements, garages, and outdoor outlets. If your home is old enough that GFCIs were not required when it was built, then your local building codes will likely not require them. However, proper home safety absolutely does! Having your older home refitted with GFCI protection is inexpensive and relatively easy… so why wouldn’t you want that extra layer of protection? 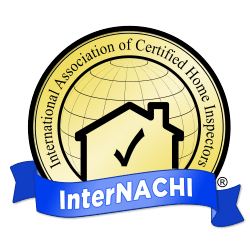 Looking beyond minimum safety requirements to hold higher safety standards is part of what it is to be an InterNACHI home inspector! Here are approximate dates of GFCI usage/integration into homes. Years vary from place to place largely due to builders and the local jurisdiction. If a home is older then typically there is no requirement to upgrade unless there is a lot of renovation such as completely redoing a kitchen. The years below are estimates.